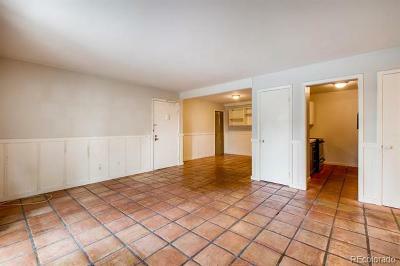 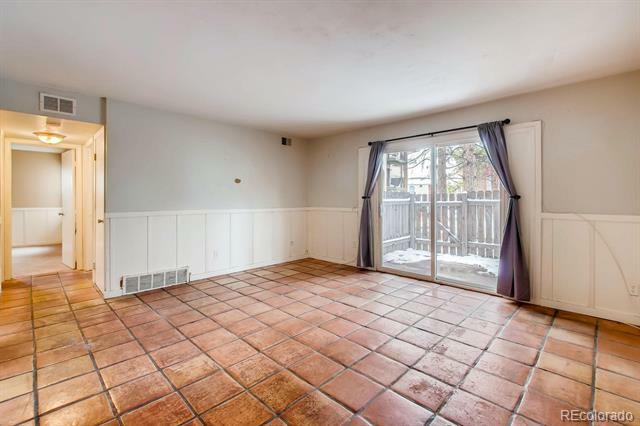 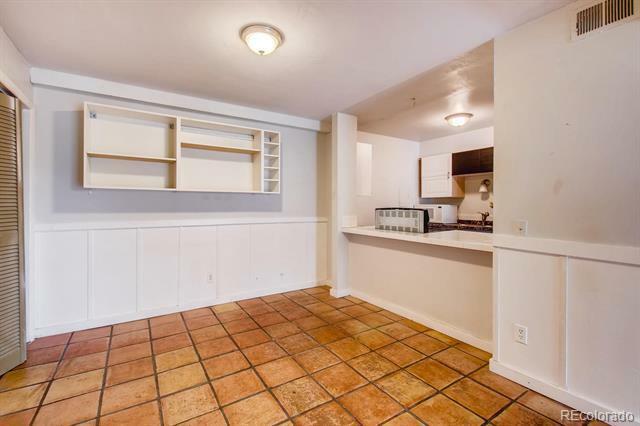 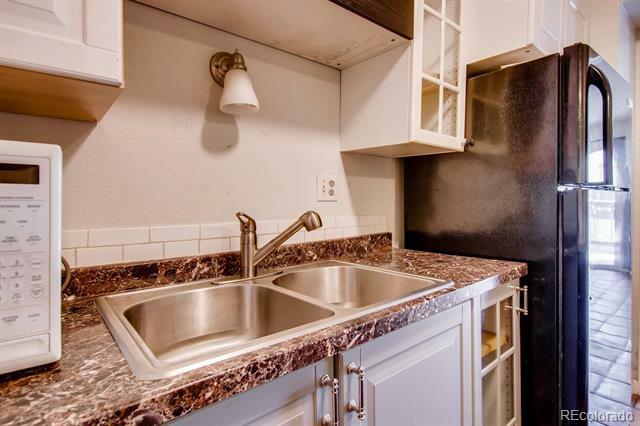 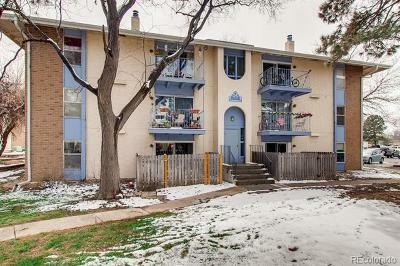 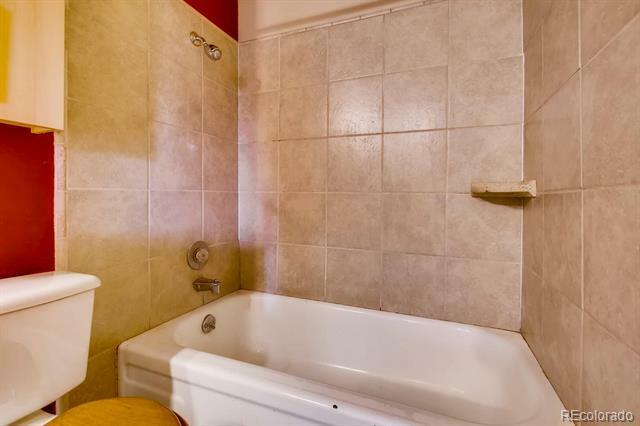 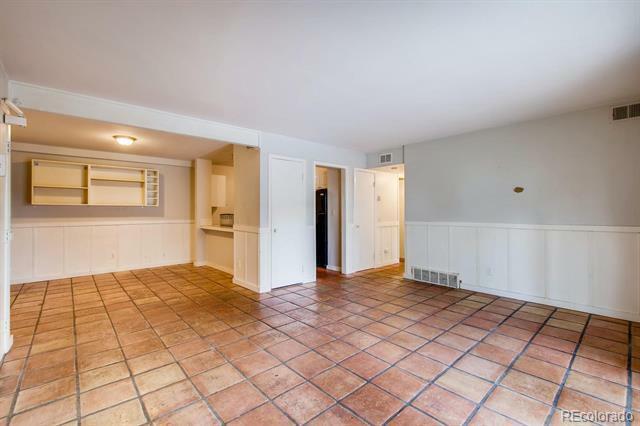 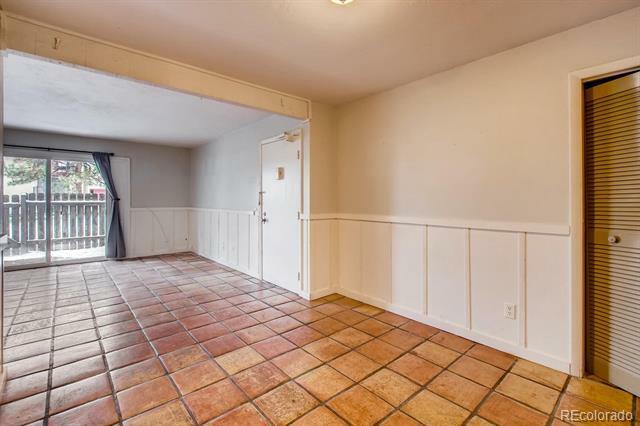 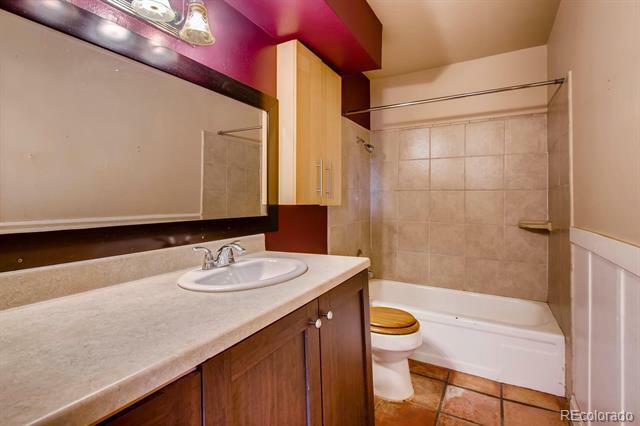 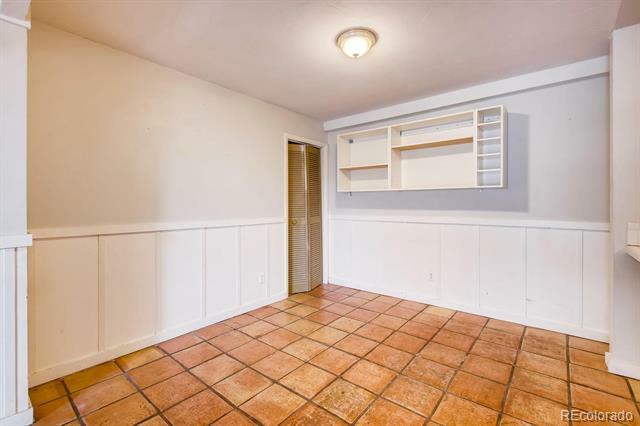 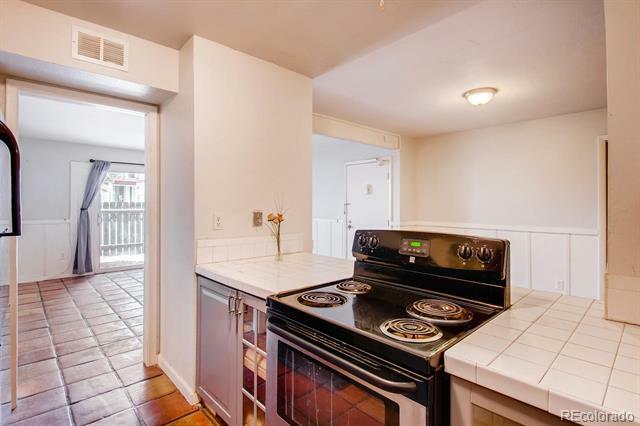 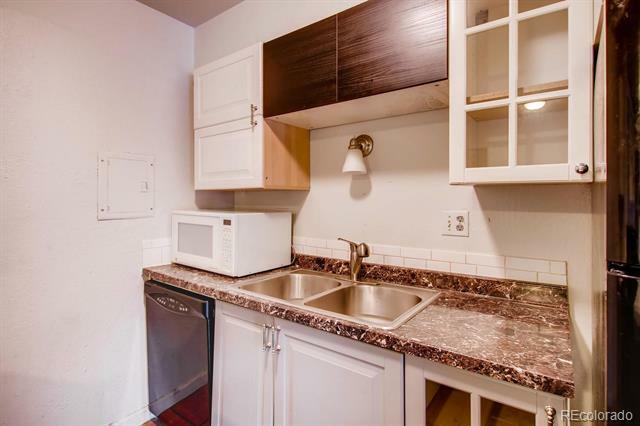 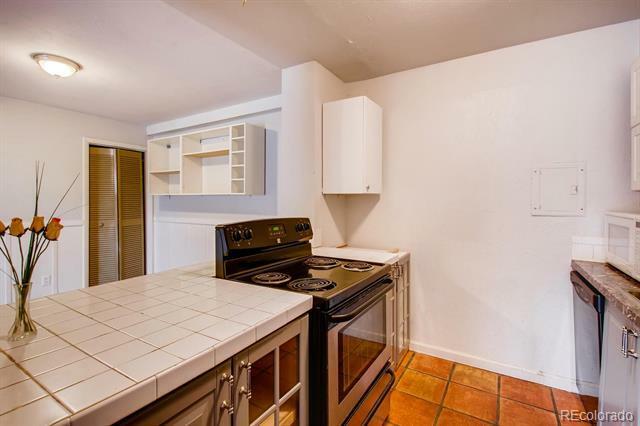 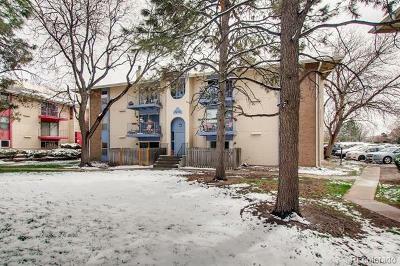 With the Tuscany tile floors, this main floor condo has 2 large bedrooms 1 bath, nice eat in kitchen area, you can also enjoy the community pool that is within this condominium. 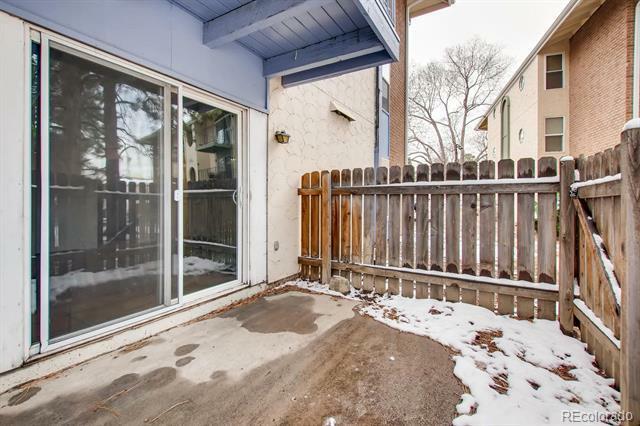 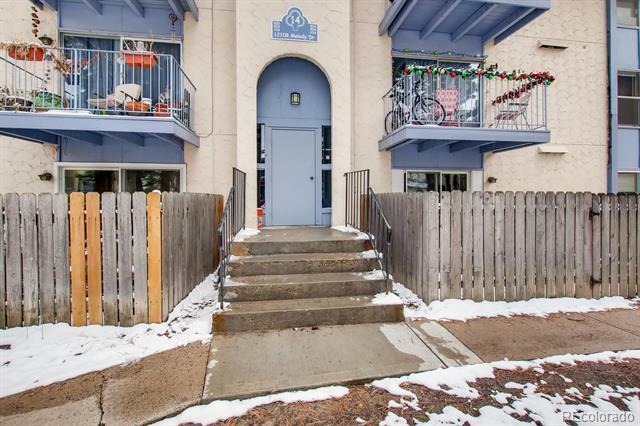 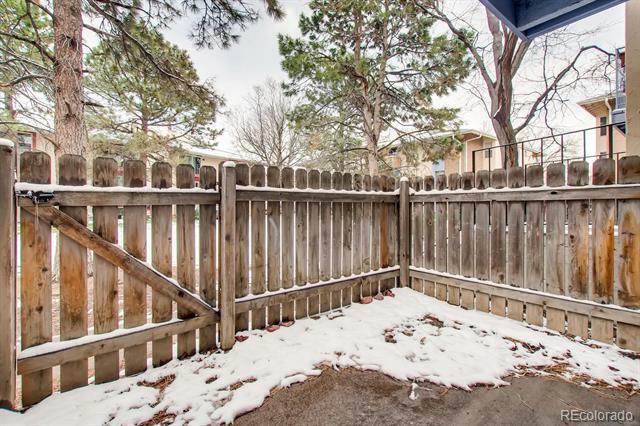 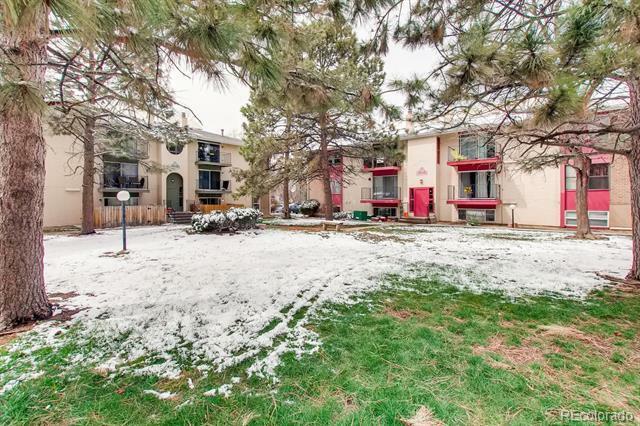 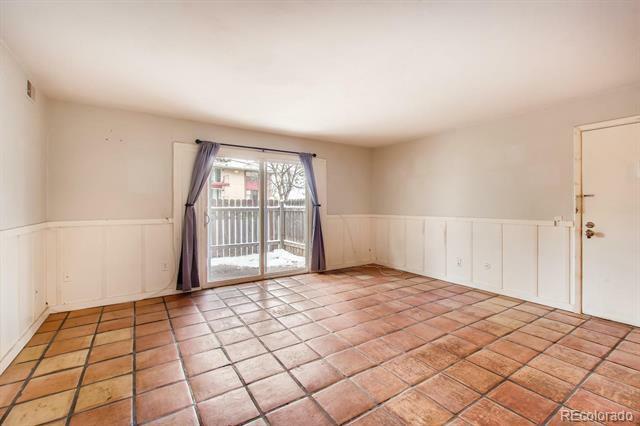 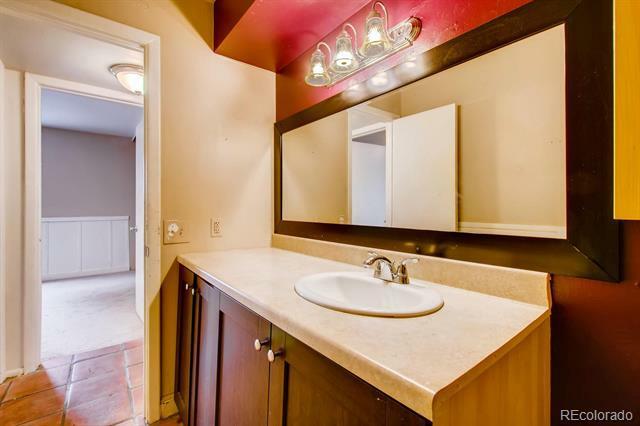 Close to I25 and 15 mins to downtown. 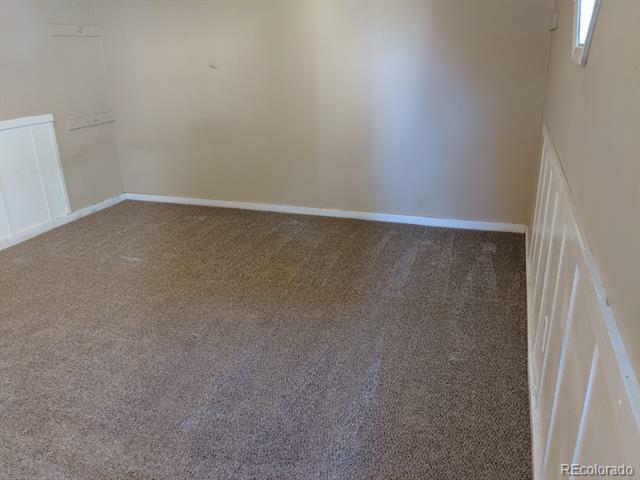 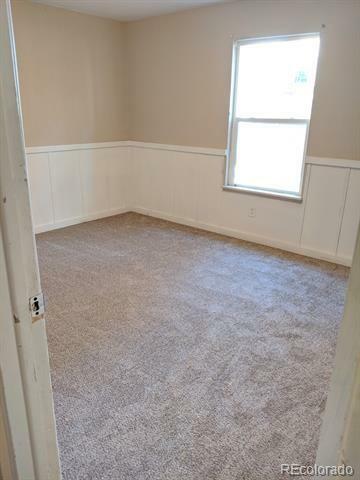 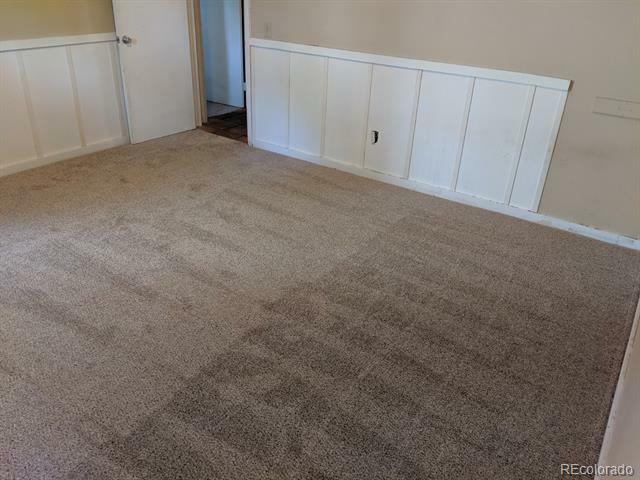 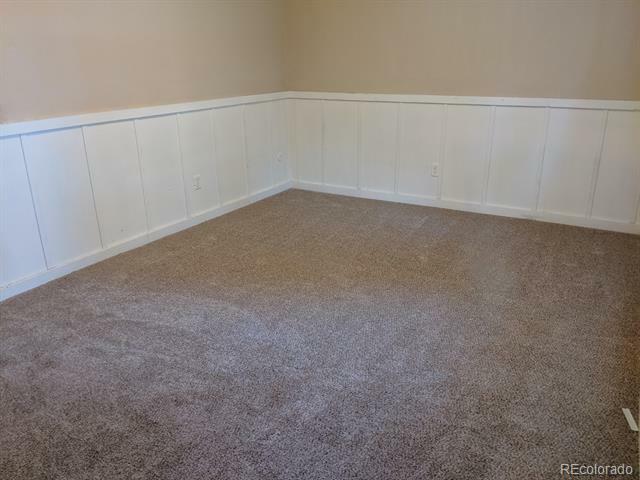 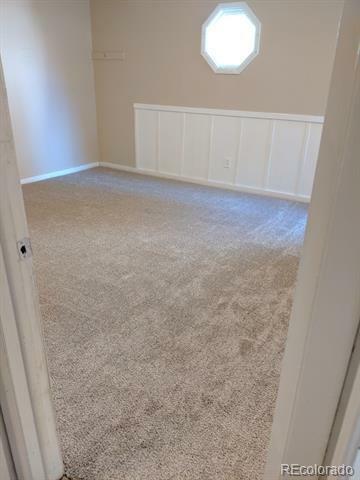 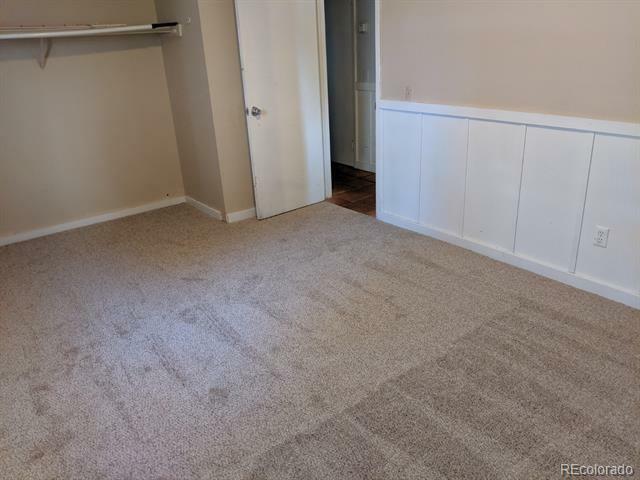 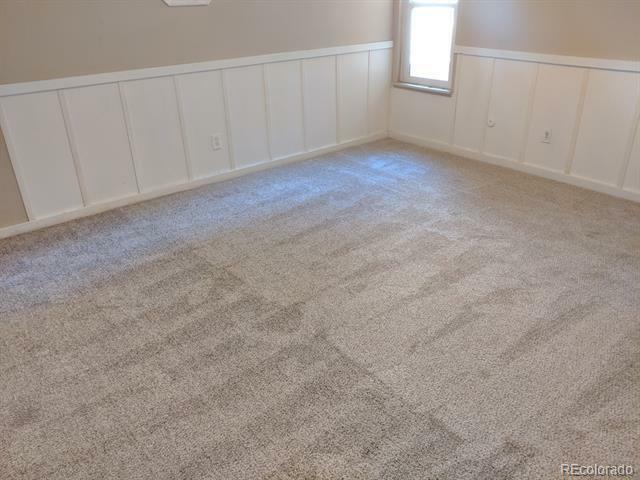 Seller will be replacing the carpet in the bedrooms.